For the best protection for you and your vehicle on holiday, look to Essential Travel and StartRescue. Whether you are travelling in your own vehicle or a hired car, we offer you comprehensive breakdown cover for European travels. Driving through Europe is the best way to savour this exceptional continent. Most travel insurance policies don't take breakdown coverage into consideration, so if your car breaks down while you are travelling around Europe, it may end up being costly. Now, Essential Travel also offers coverage for those travellers choosing to drive their car to Europe, through StartRescue's short-term European breakdown cover plan. Enjoy comfort and ease when you travel to Europe by taking your car instead of flying. Before your trip, take out a convenient European breakdown package and travel with peace of mind and security. Whether travelling to Europe for business or pleasure, for one day or a month, choose from a range of flexible options to suit your travel needs. 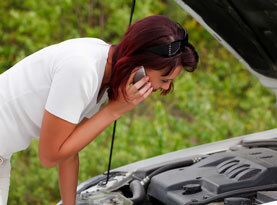 Trying to repair your car or arrange vehicle rescue and assistance when in a foreign country can be time-consuming and expensive. By taking out a European breakdown cover package, you can avoid unnecessary costs and rest assured that should your car run into trouble, help is on its way. Ready to get a quote or book your European breakdown cover? Use our secure and easy online booking form to place your order. Book now and start saving!